Home Blog General Can Cats Eat Peanut Butter? Americans eat about three pounds of peanut butter per person a year! Humans love it, and so do dogs. But what about cats? Can cats eat peanut butter? The simple answer is “yes.” It’s not toxic to them, but there are other factors you should consider before feeding it to your pet. Generally speaking, a cat’s diet needs to be high in protein and low in carbs. Peanut butter contains a lot of sugar and carbohydrates which may be difficult for your cat to process. Maybe the question isn’t can cats eat peanut butter; it’s, should they? The creamy texture and rich smell of peanut butter may be intriguing for your four-legged friends. That’s why many pet owners have used peanut butter as a lure to get their cats to take medications. Hiding a pill or powder inside is a smart move because you don’t have to give cats a large amount to get the job done. When given in small doses, peanut butter for cats isn’t bad. 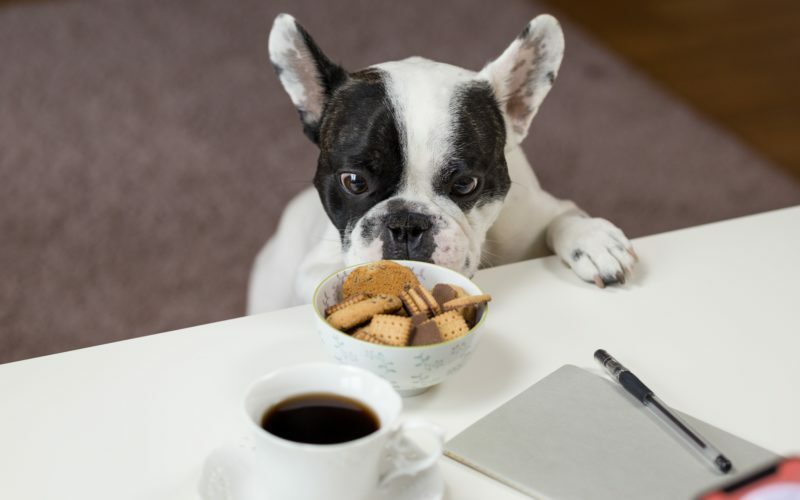 It’s best not to make it a habit, though, because they may like it more than their nutritious cat food, which could lead to diet problems or feline obesity. When discussing cat nutrition, felines require certain vitamins and minerals to keep their bodies healthy. If they like peanut butter and choose it over regular cat food, your cat won’t get his daily required nutrients that are needed for optimal health. A healthy cat diet, according to the ASPCA, includes plenty of water, animal-based proteins, and omega-6 and omega-3 fatty acids. When given on a regular basis, the high sugar content in peanut butter can lead to obesity. Since cats aren’t wildly active throughout the day, their bodies can’t break down the sugars quick enough to maintain a healthy weight. Also consider that cats may have an adverse reaction to peanut butter. Just like with any ingredient, food allergies in cats can cause your pet to have adverse reactions. If you’ve given your cat peanut butter for the first time, be on the lookout for any odd behaviors over the next 24 hours. Cat vomiting or feline diarrhea may occur as a result of an upset stomach or bad digestion. Not all foods are made for cat consumption because their systems break down foods differently from other animals. Just because your cat eats it doesn’t mean that it will be good on the stomach later on. Your cat’s diet is one of the most important parts of maintaining optimal health. Try to only buy products containing natural and wholesome ingredients. When introducing a new food to your cat, incorporate the ingredient slowly over time. Diet habits are especially important for kittens or cats new to your home. For kittens, their bodies are still developing and may require additional nutrients than an adult feline Milk, for example, is something kittens can drink and digest better during their young stages but can turn into an intolerance as they age. For cats new to the home, it may take a few months to see which food product is best for them. Start with a cat food that has a good blend of vitamins and nutrients. Slowly incorporate other ingredients into the diet if you want to provide more variety. Take note of any dietary restrictions, like peanut butter, to pass along to the veterinarian and anyone you cares for your cat in the future. To maintain healthy eating habits in your cat, remember that moderation is key. Snacks such as peanut butter are hard to resist. Rather than making it a regular occurrence, let your cats have a small taste once or twice a week, but only as a reward. However, if your cat struggles with maintaining a healthy weight, it’s best to cut these extra treats out altogether. Finally, consider what your cat really needs and determine if food is the answer. More water, extra attention, or fun interaction may be the answer. In times when you think a sweet spoonful of peanut butter will do the trick, there may be something else more satisfying. As your cat grows older, you’ll learn more about these behavioral trends and dietary changes. “Peanut Facts.” Texas Peanut Producers Board, www.texaspeanutboard.com/peanut-facts/. “Cat Nutrition Tips.” ASPCA, www.aspca.org/pet-care/cat-care/cat-nutrition-tips. Fries, Wendy C. “10 Healthy Cat Treat Tips and Recipe Ideas.” WebMD, www.pets.webmd.com/cats/guide/cat-treats-and-snacks-whats-healthy#2.